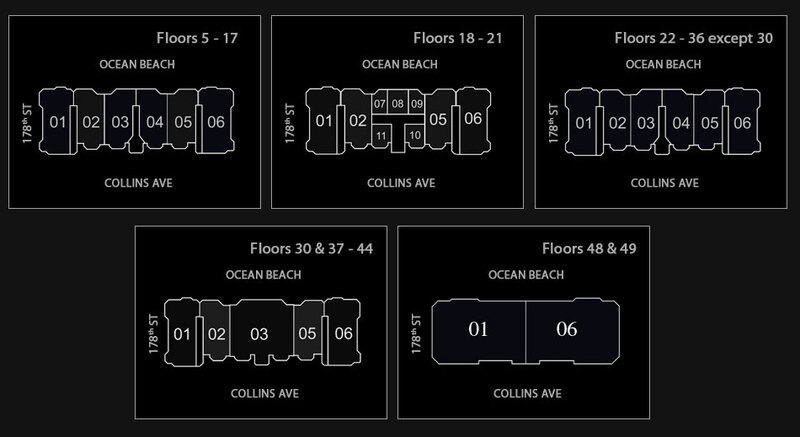 Turn-Key half-floor residence at the Mansions at Acqualina spanning ~4,600 interior sq ft and featuring 180 degree views to the East, South and West. This oceanfront furnished residence features 3 Bedrooms, 6.5 bathrooms, oceanfront Living room and dining room, separate breakfast area and family room w/ fireplace. This Mansion in the sky boasts 10&apos;6 ceilings, marble floors, Ornare leather-clad closets, Downsview kitchen w/Milele appliances & Jacuzzi/plunge pool and summer kitchen on the west terrace. With only 76 residences, the building epitomizes luxury living with amenities such as 3 restaurants spanning 16,000 sq. ft, fitness center, sauna, poolside private cabanas, SPA, children&apos;s center, virtual golf, outdoor dining & bar, cigar & wine lounge.